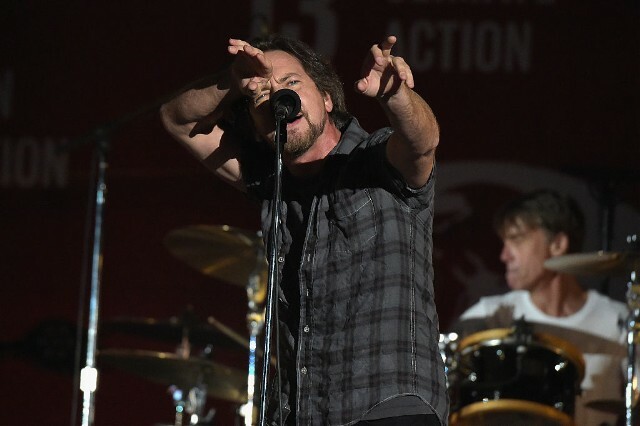 Another Pearl Jam concert in Wrigley Field means another surprise from the band. So far on their Home X Away tour, the group has covered David Bowie’s “Rebel Rebel,” brought out Dennis Rodman, and showcased a poster featuring Donald Trump’s corpse amidst a White House in flames. At Monday night’s show at Wrigley Field in Chicago, they revealed another surprise, playing “Evil Little Goat,” an outtake from their 1991 album Ten, for the first time ever. Who knew Eddie Vedder had such a knack for goat impressions? See for yourself below.